the effect depents on the relationship between the control of the fore and aft diving planes. When they are controlled in a manner to be parallel to each other (e.g. both front edges tilted down) the dynamic force will act on the bow section and the stern section in the same way and your model will descent or ascent on more or less even keel. The residual inclination will depend upon th ebalance between the fore and aft planes. When operated with contrary control (e.g. 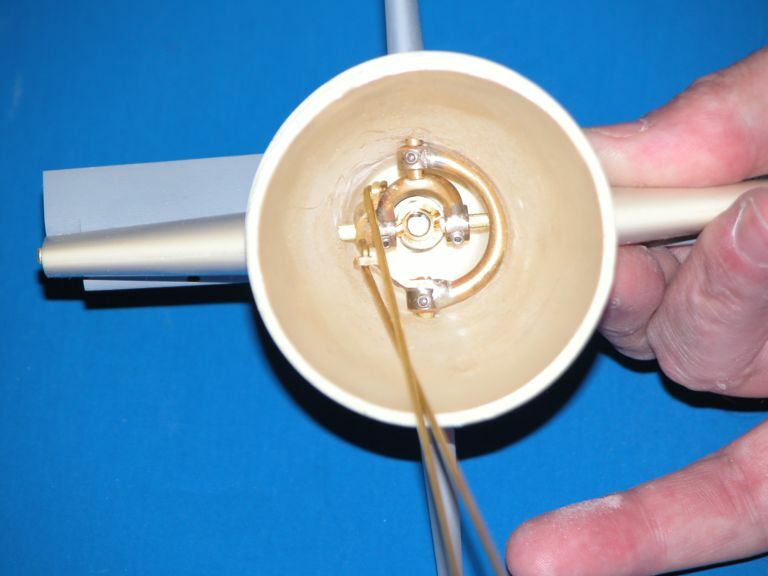 the bow planes point down and the aft planes point up) the inclination of your model will be even greater compared to the use of the aft planes only. Fore planes will give some benefit when submerging from the surface. With action of the aft planes only (with the front edges oft aft planes tilted up) the stern will be lifted to make the bow point downwards. With some models it can happen that the propeller comes partially out of the water, this will reduce the propulsion effect. With support of the fore planes operated contrary (their front edges pointing down) the bow is forced down by the dynamic force and this will help to submerge better. If possible with your radio control it would be useful to programme your transmitter in a manner to select between the two operation modes parallel action and contrary action of the fore and aft planes by means of a switch. Keep the bow and stern planes on separate channels. Let the angle-keeper tend the stern planes. You drive the bow planes for depth control. 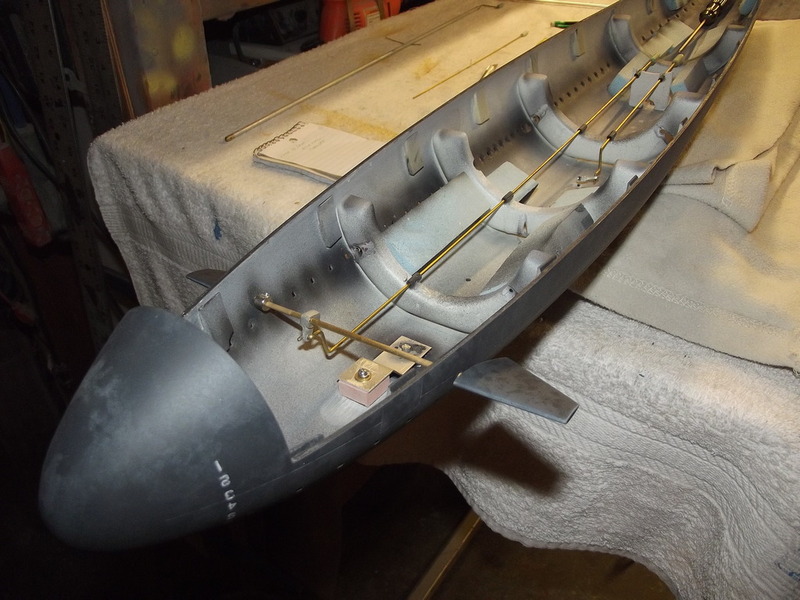 No one on this planet has assembled and operated more 1/60 ALBACORES than me. As with most submarines the stern planes of the ALBACORE have the long moment arm to effect angle changes to the boat. The bow planes don't, so they dynamically pull the boat up or down (they do have a pitch moment, but no where the magnitude of the stern planes). If you're transmitter is smart enough to provide channel mixing then go ahead and dial in about 10% coupling between the two horizontal control surfaces -- collectively, not differentially! Do not mechanically couple the bow and stern plane linkages to free up a channel -- that's a fools errand as the boat will only work well at one specific speed and depth, but will be a wild pony ride in all other situations.